We recently visited my family in Wisconsin over the Independence Day holiday. Late August is a more opportune time to visit there because you can make off with bushels of tomatoes, cabbage, cucumbers, new potatoes, corn and almost anything you can imagine. Because it stays so cold up there into June, my father’s vegetable garden hasn’t yet exploded. Except for the dill! 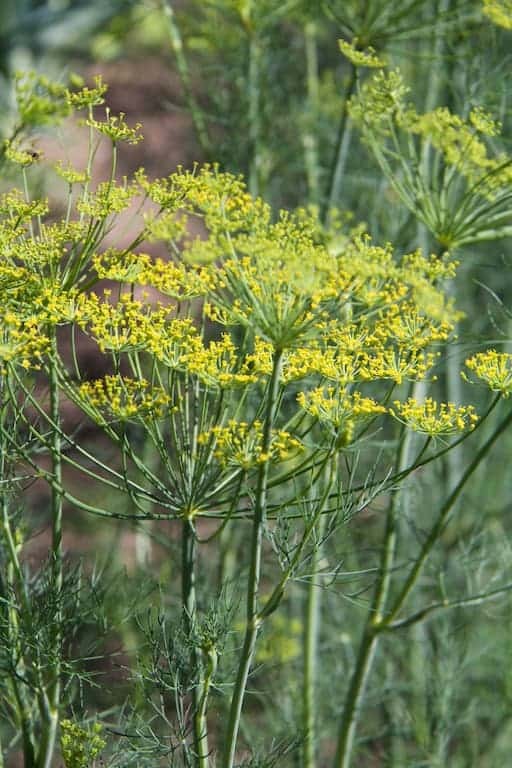 Dill is a cool weather crop. 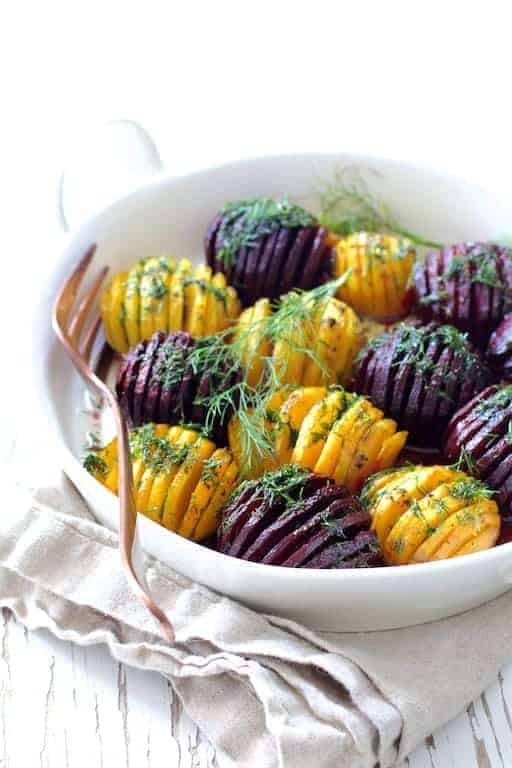 Therefore, it’s easy to understand why it pairs well with Scandinavian-inspired dishes like this Roasted Hasselback Beets with Dill Dressing. My father’s garden was full of this fragrant volunteer vagrant which he didn’t plant but comes back year after year! He begged us to take some so how could we say no? Pairing Dad’s fragrant dill with some beets was a foregone conclusion. We can’t grow root vegetables here in the south worth a darn because of the clay soil, but good beets are available year-round at the grocery store. Dill and beets are a culinary match made in heaven! 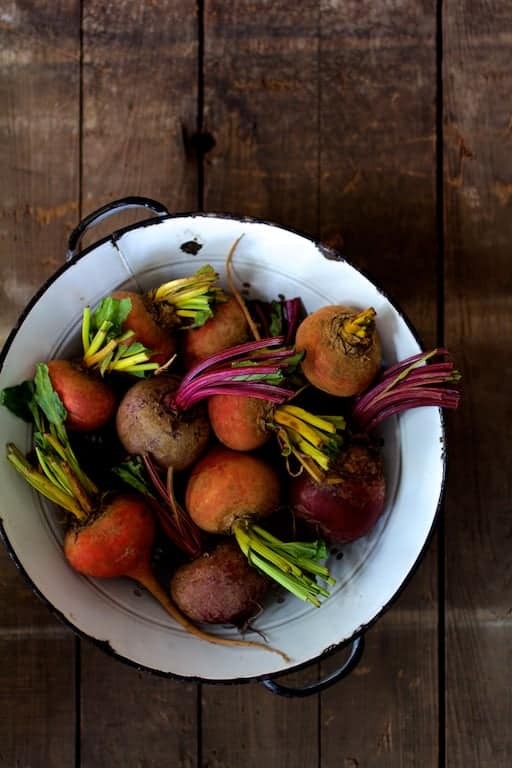 Select beets that are small to medium in size and feel free to use a combination of red and yellow for this beautiful presentation! Typically when roasting beets, you would do it with the skin on and then peel them later. For a hasselback preparation, peeling them later does not work. You’ll be faced with some seriously picky work. Peel them like you would a potato before roasting and then slice them “hasselback” or accordian-style. Drizzle with oil, season with salt and black pepper and let them roast away! You want to be able to easily pierce them with a knife. 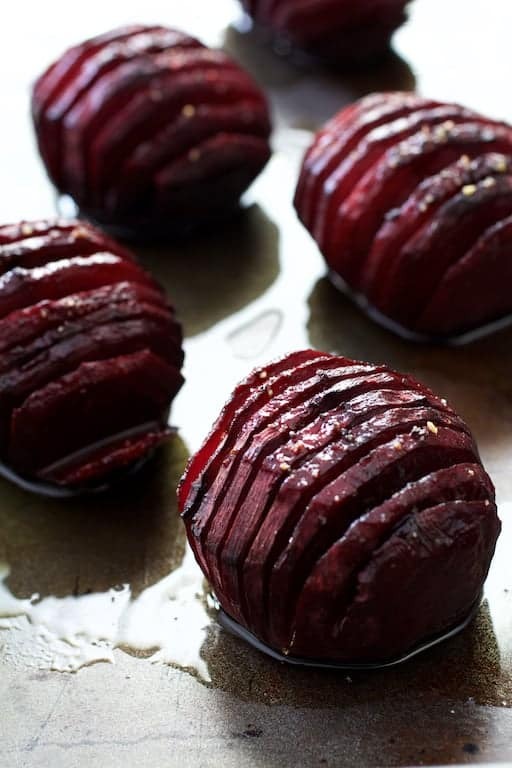 Beets need to be soft like potatoes. Crunchy uncooked beets are not good just like crunchy uncooked potatoes are not good. In fact, they’re downright awful. This dish is wonderful warm or cold. Make it ahead and let the beets marinate in the dressing or serve it right away. BEETS: Preheat oven to 375 degrees. 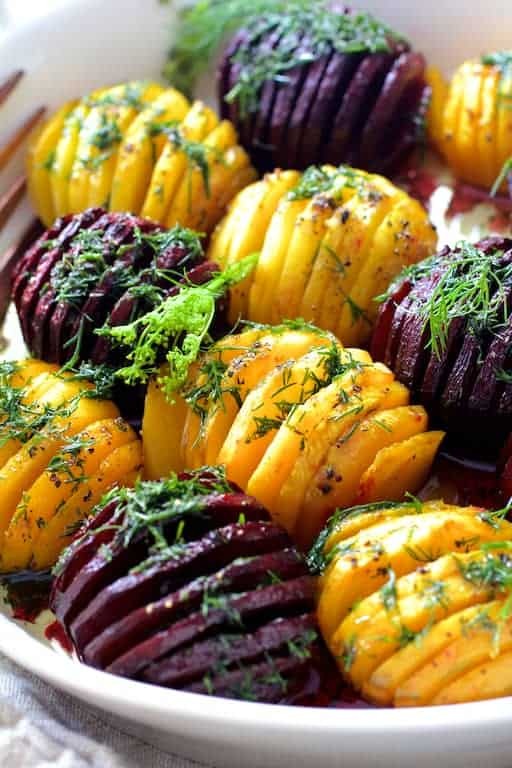 Peel the beets and cut "hasselback" style." Place on a non-stick baking sheet and drizzle with oil and season with salt and black pepper. Roast for 1 hour or until easily pierced with a knife. DRESSING: While beets are roasting, whisk together vinegar, oil, honey, dill, salt and black pepper. 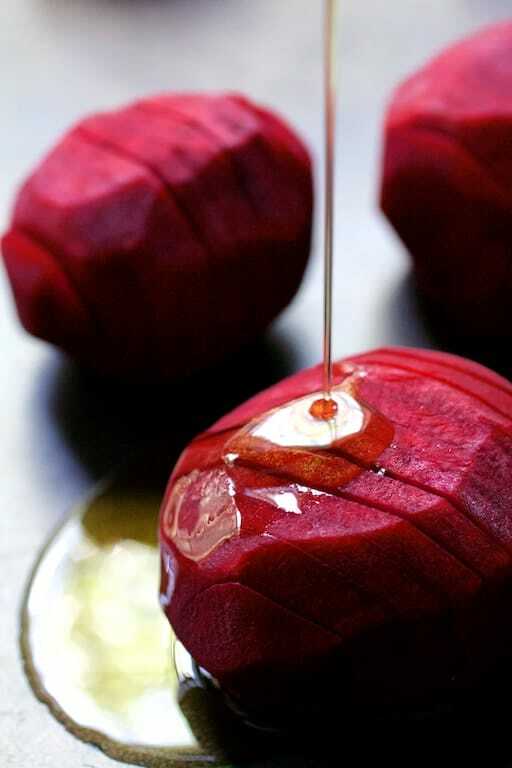 When ready to serve, drizzle beets with vinaigrette. This is one of those techniques where one states, “I’ve been doing this for so long- how could I not have thought of such a great idea as doing this for other similar veggies? ?” Haha, thank you! 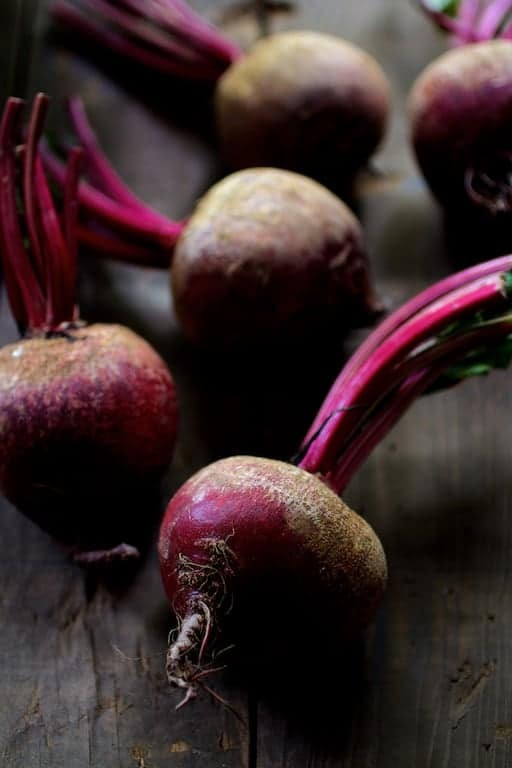 As well, although I have not yet made this specific recipe (yet), it is similar to many combinations I have made in the past, and I look forward to what is surely going to be a delicious beet dish :))! 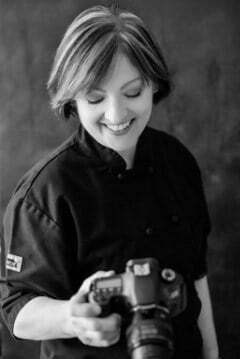 Hi, Ellen, Thanks so much! Hasselbacked everything is a big trend right now. Hope you enjoy! Aloha: I recently treated myself to some Truffle Honey. I am doing these tonight with dill and Truffle Honey drizzled on top. Thanks for the recipe. Sounds divine! Love that idea! Tried these tonight for dinner. Loved the flavor of the dressing. Baked for 1 hour. Followed the recipe exactly. Could only find the red beets but wanted to do a test run for Thanksgiving. The beets were still tender crunchy after the baking and the ends were crusty all most burnt. Maybe if par boiled first they would be tender like potato. Has anyone else had this problem? Also, has anyone tried boiling first then roasting? Perhaps size of the beets made a difference in that they took longer? So glad you enjoyed the flavor of the dressing! This may work better for you! Thanks again and have a happy Thanksgiving!